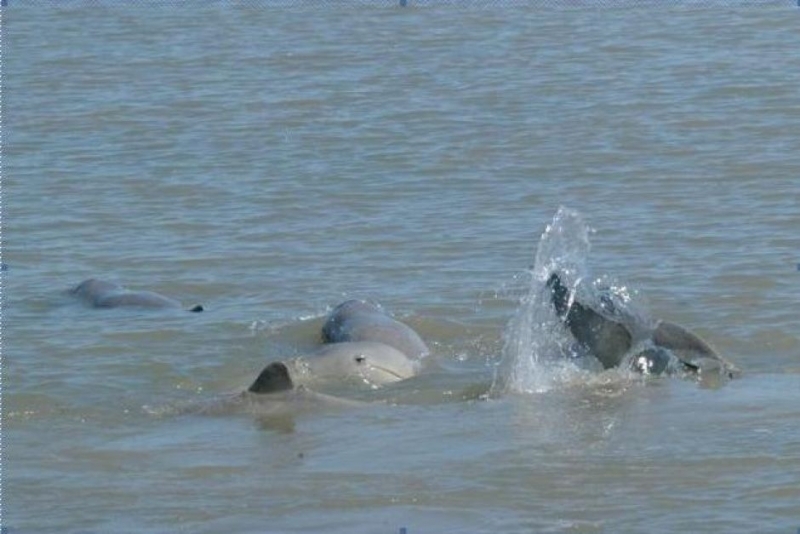 Australian Snubfin Dolphins are a recently recognized species of dolphin. 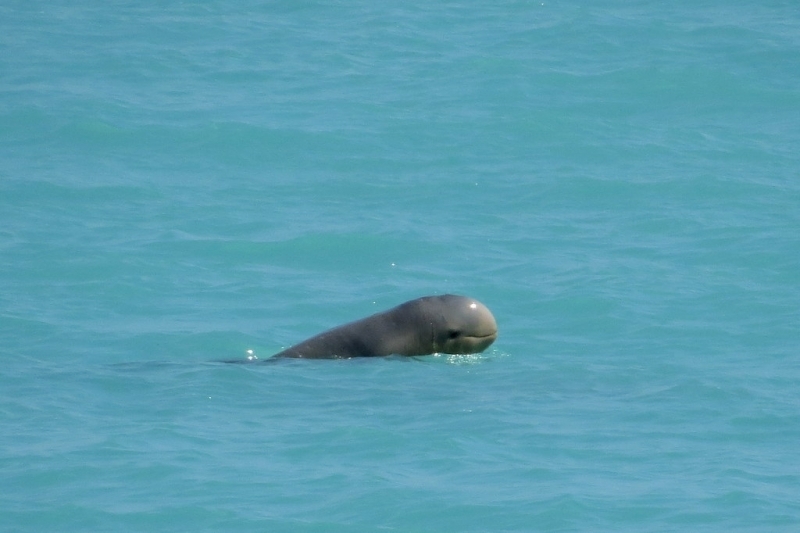 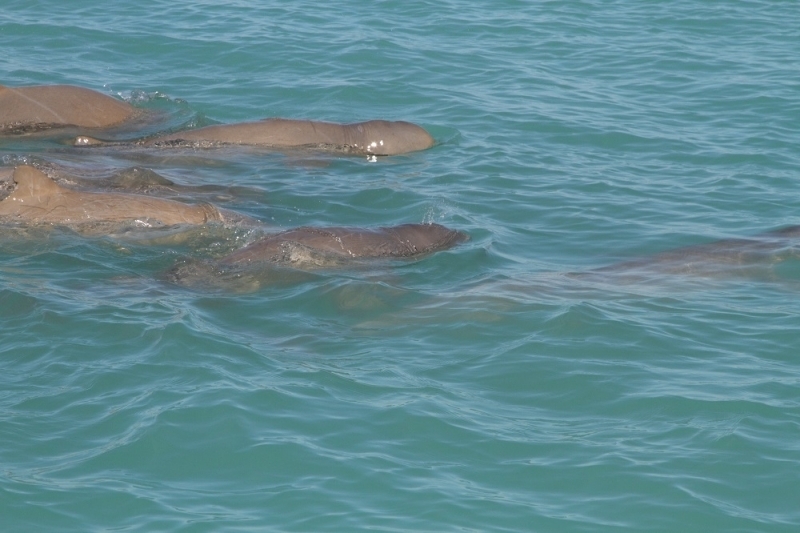 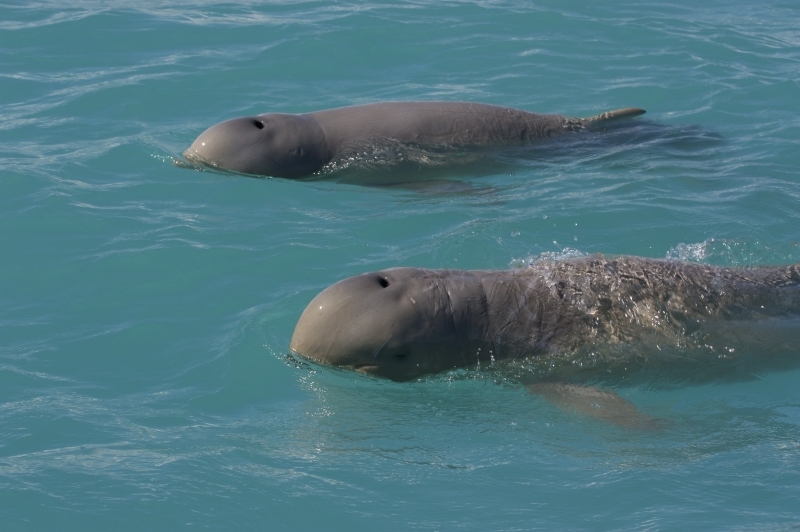 They closely resemble and is closely related to Irrawaddy Dolphins and until they were described in 2005, they were thought to be Irrawaddy Dolphins. 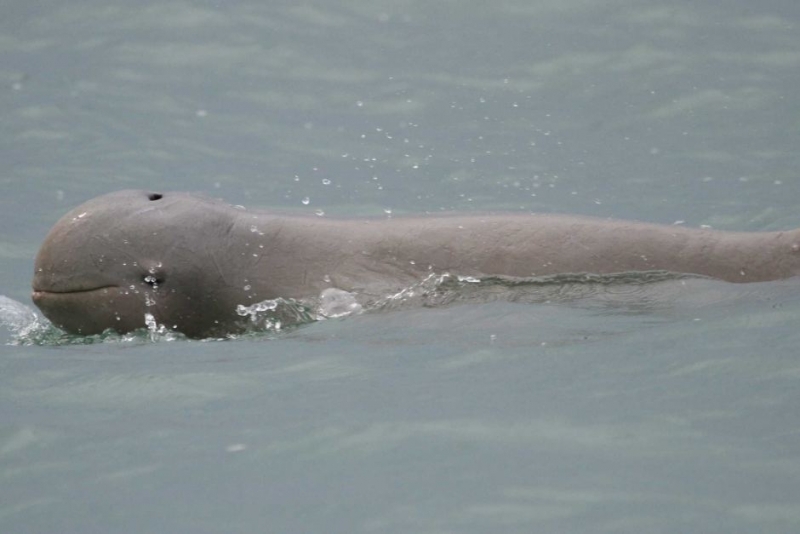 However Australian Snubfin Dolphins are 3-colored, while the body of Irrawaddy Dolphins only has 2 colors. 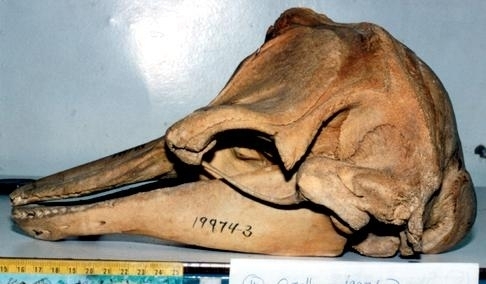 Their skull & fins also differ slightly between the 2 species. 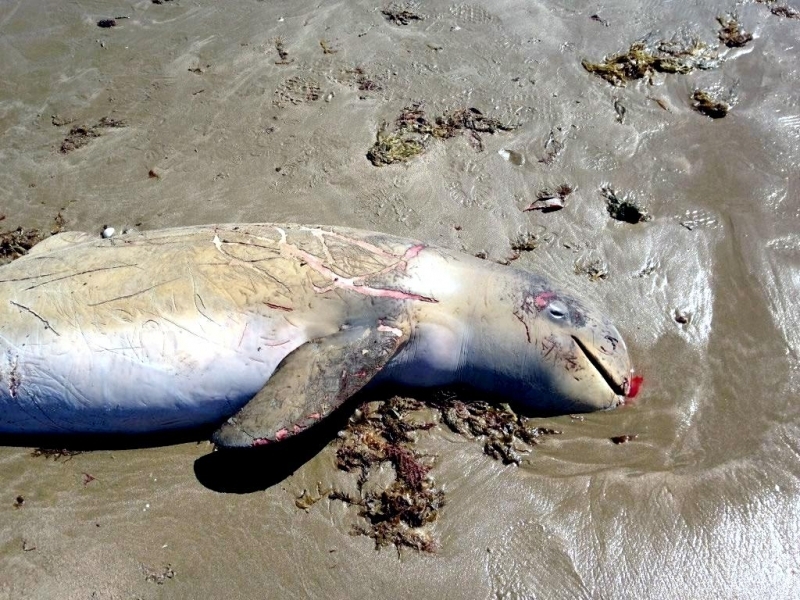 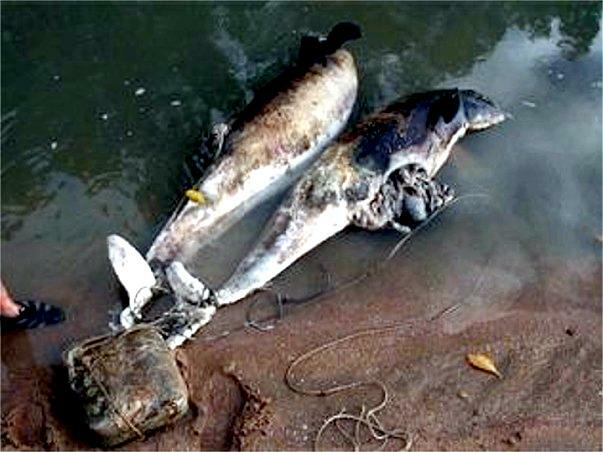 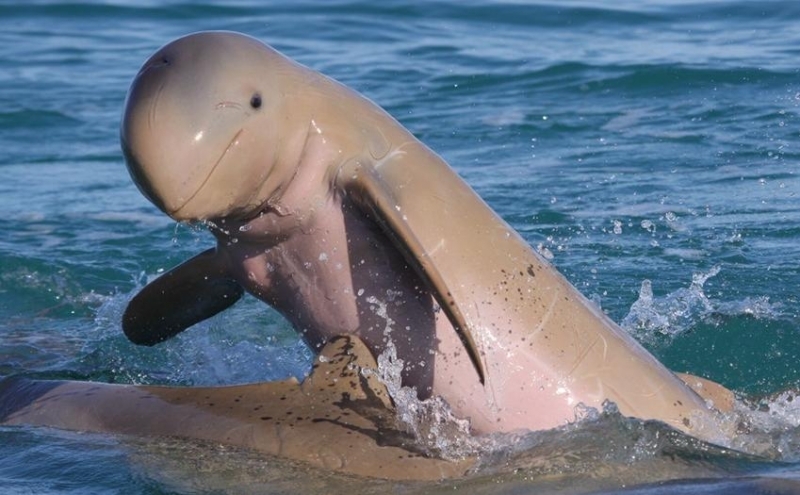 Stranding and museum specimen records indicate that Australian Snubfin Dolphins occur only in waters off the northern half of Australia, from approximately Broome on the west coast to the Brisbane River on the east coast. 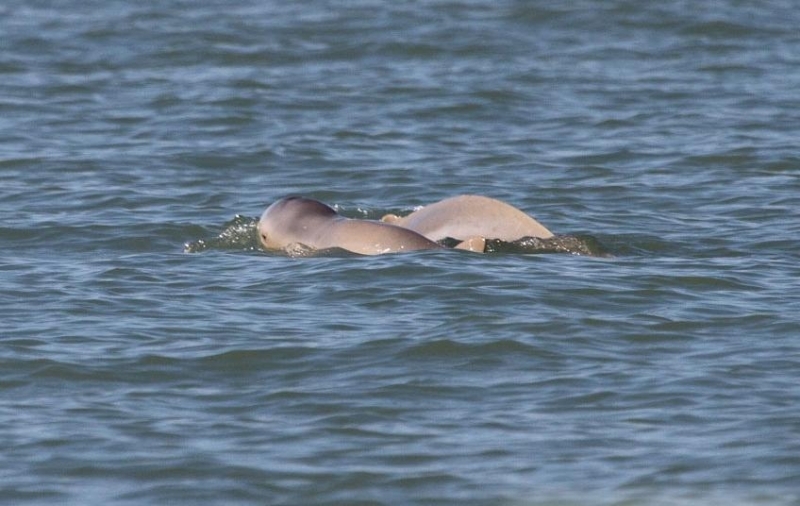 Aerial & boat-based surveys indicate that Australian Snubfin Dolphins occur mostly in protected shallow waters close to the coast and close to river & creek mouths. 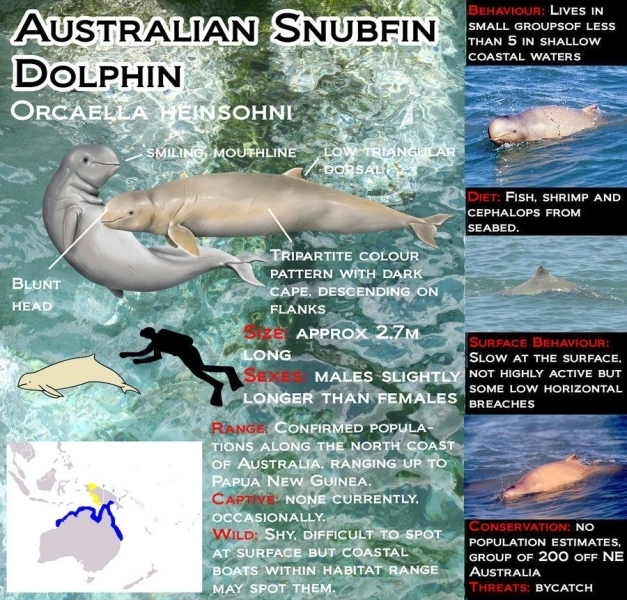 The large area of shallow water on the northern Sahul Shelf plus records of Australian Snubfin Dolphins out to 23 kilometers offshore suggests that even though the known distribution is limited, its occurrence probably exceeds 20,000 kilometers. 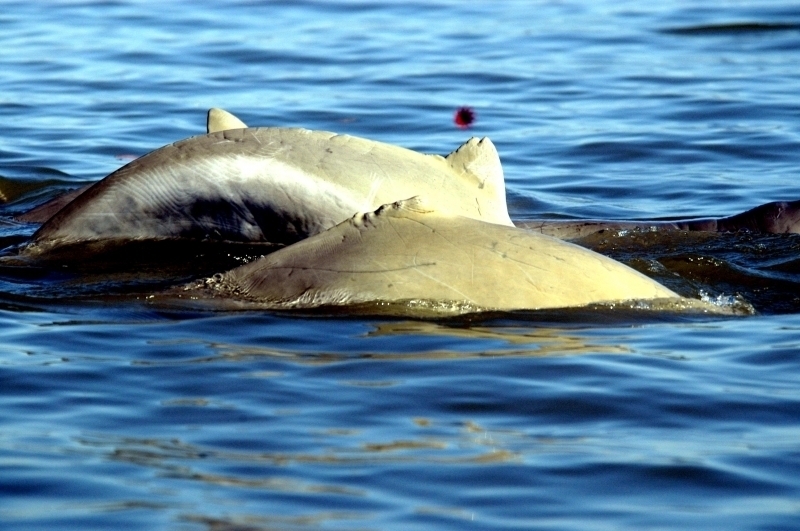 There are no data to estimate any past or potential future declines of occurrence of Snubfin Dolphins in Australia. 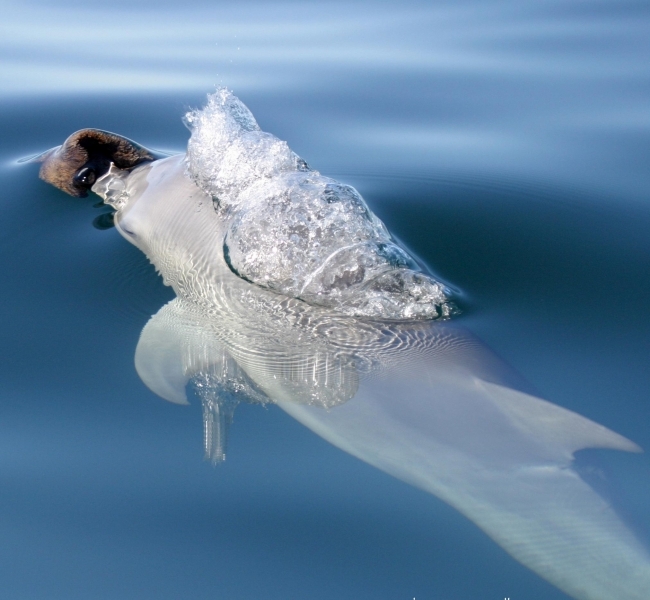 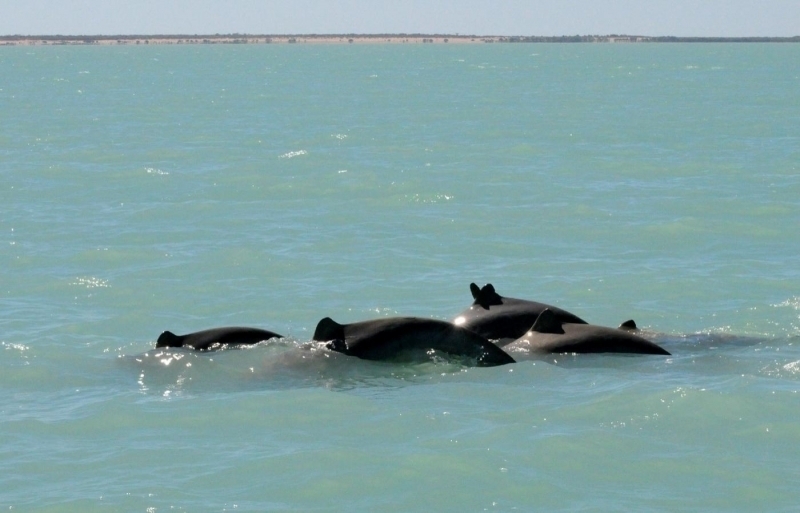 The area of occupancy of Australian Snubfin Dolphins cannot be calculated due to the paucity of sighting records for a large proportion of the range however, the area of occupancy is likely to be greater than 2,000 kilometers. 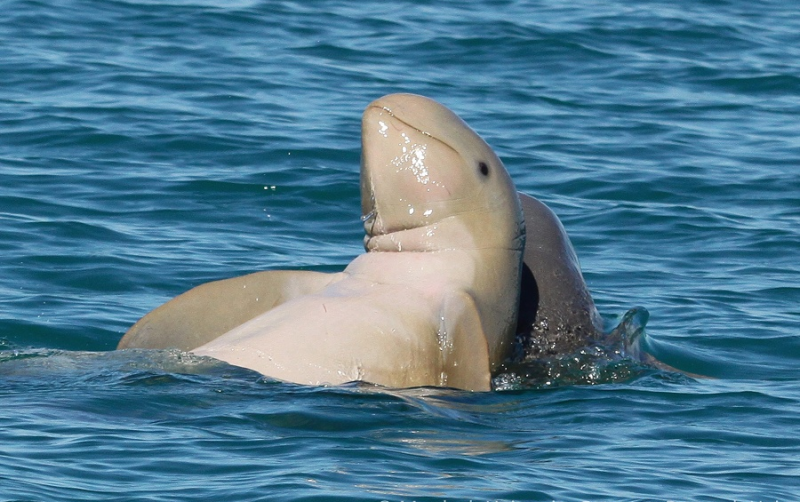 There are no data to estimate any past or potential future declines in the area of occupancy for Snubfin Dolphins in Australia, however incidental catches in gill-nets plus habitat degradation may lead to a reduction of area of occupancy over the next 3 generations for Australian Snubfin Dolphins. 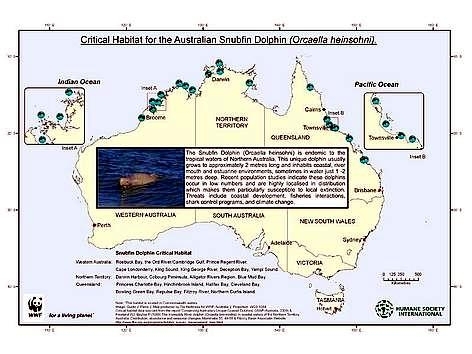 All available data on the distribution & habitat preferences of Australian Snubfin Dolphins indicate that they mainly occur in one location, shallow coastal & estuarine waters of Queensland, Northern Territory and north Western Australia. 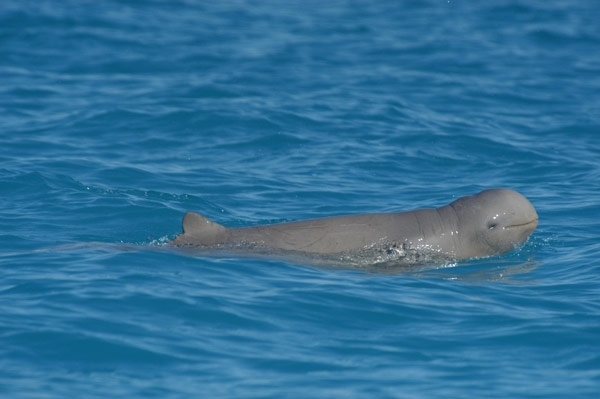 The population in Australian waters is thought to be continuous with Papua New Guinea. 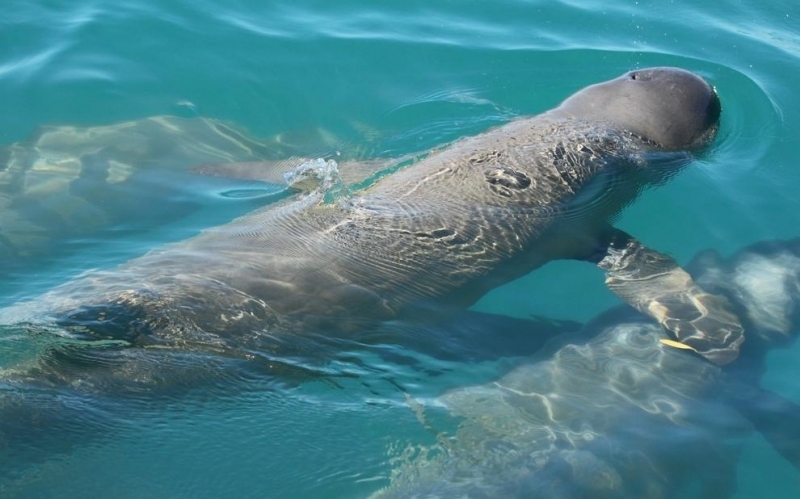 There appears to be ‘hot-spots’ of higher Australian Snubfin Dolphin densities along the Queensland coast and preliminary data suggest that they occur in small, localized populations. However, available data is currently too limited to examine the likelihood for fragmentation. 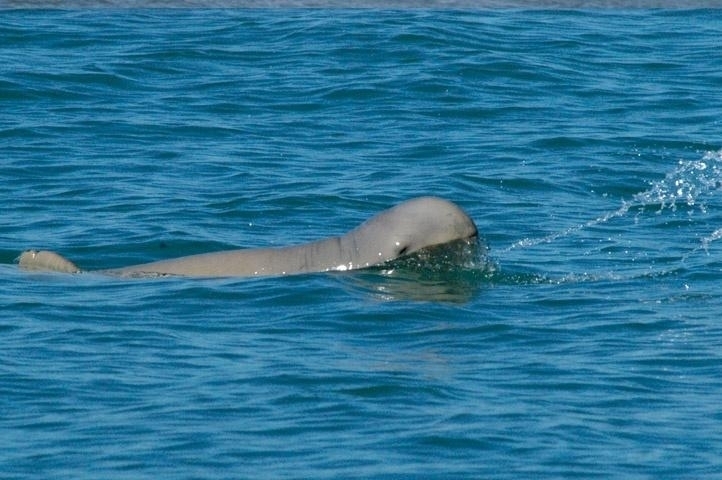 Only a single record for the Australian Snubfin Dolphin exists outside Australia and comes from Daru, Papua New Guinea. 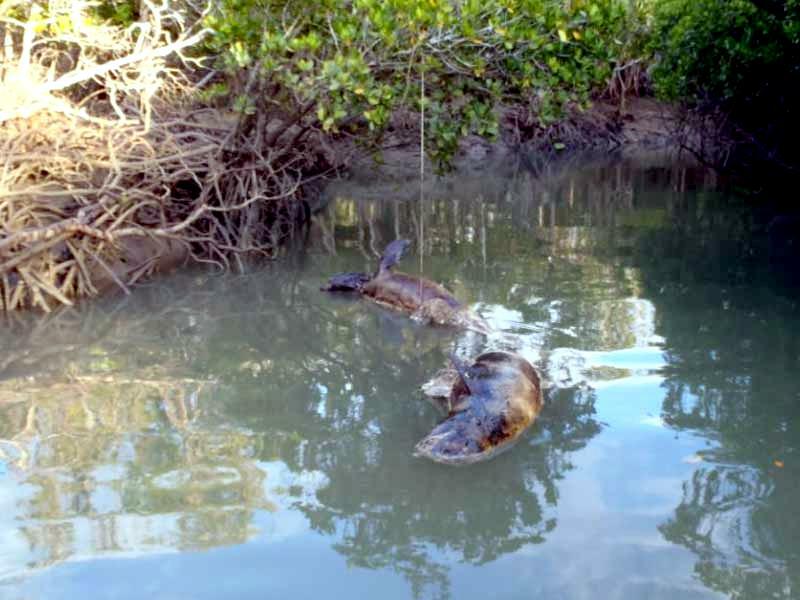 Most recorded sightings come from protected and shallow coastal waters especially in close vicinity to river mouths, which implies that their expected range is the northern Sahul Shelf including the coastal waters of northern Australia & Papua New Guinea. 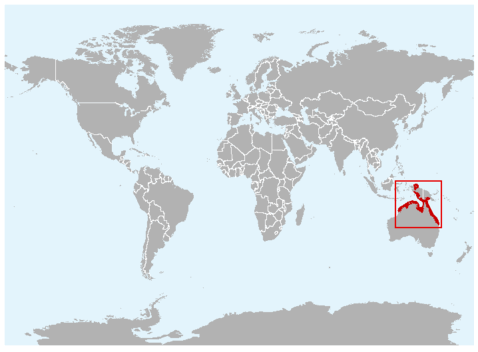 No global population size is known. 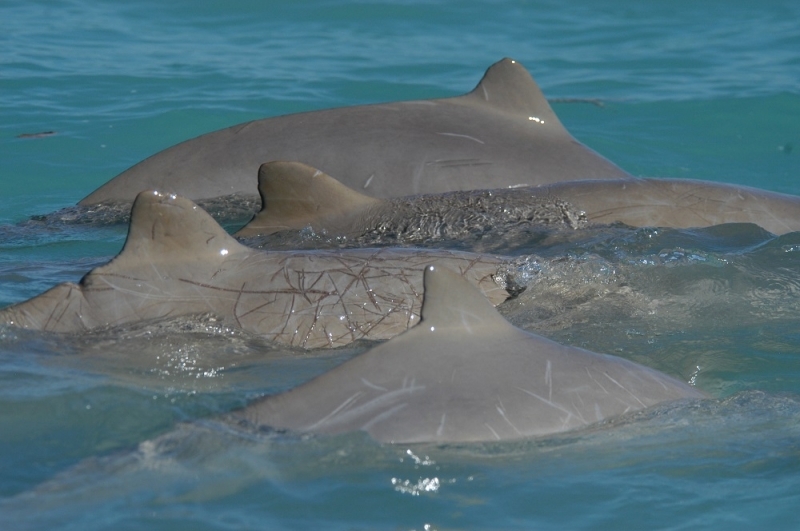 In Australian waters, population sizes are estimated to be low, thus making population changes extremely difficult to detect within the space of a few years unless changes are severe. 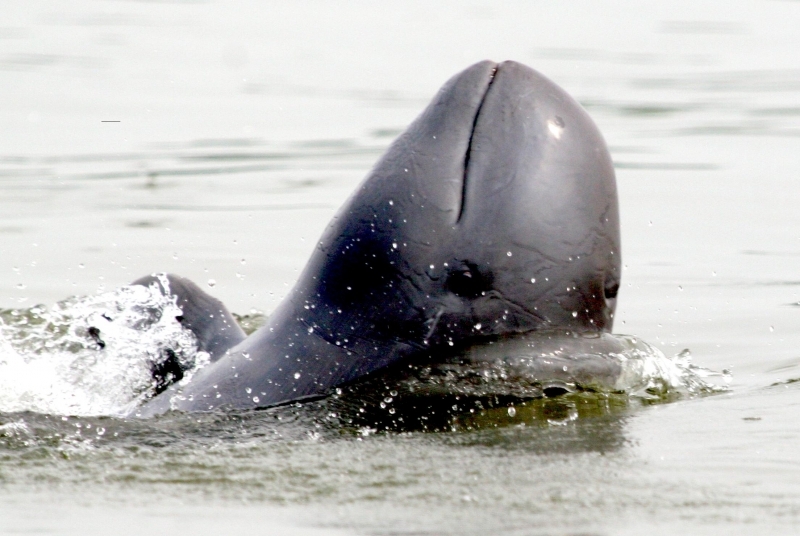 If populations elsewhere throughout their range (Papua New Guinea) are also small, trends will likewise be difficult to detect. 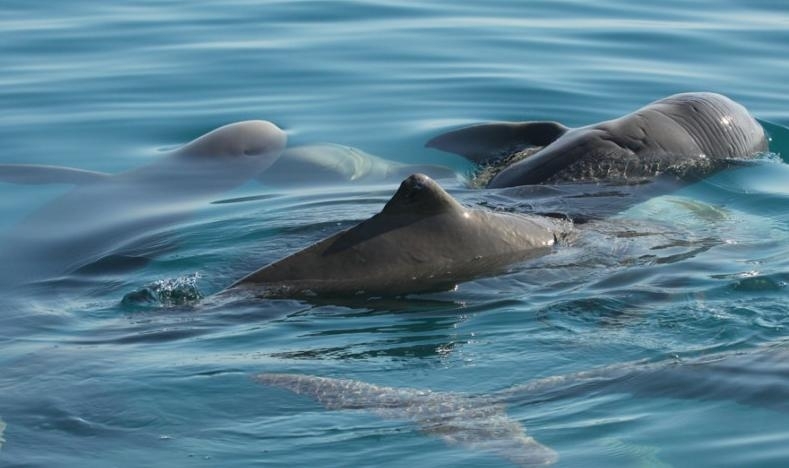 The limited range outside of Australia for this species suggests that there could be a significant threat to the security of Australian Snubfin Dolphins living beyond Australian territorial waters. 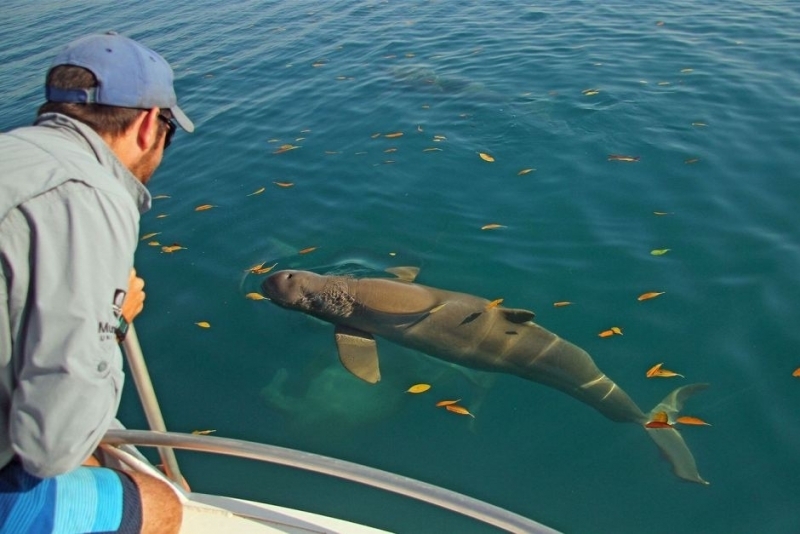 This threat would primarily consist of incidental capture in gill-nets. 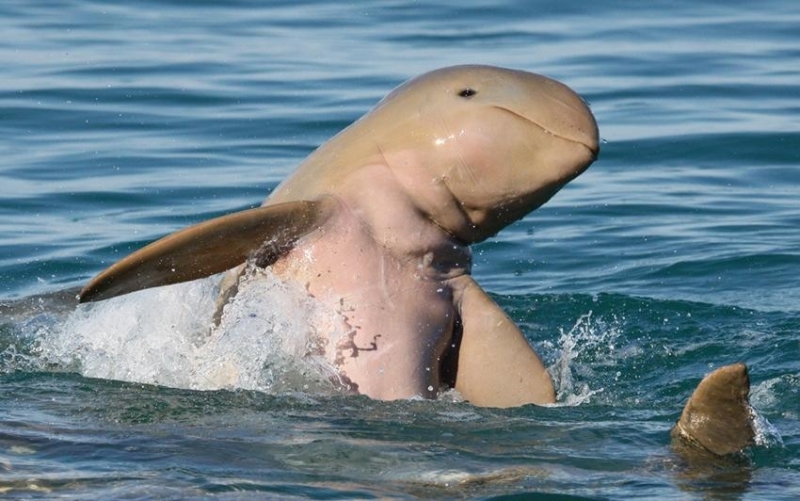 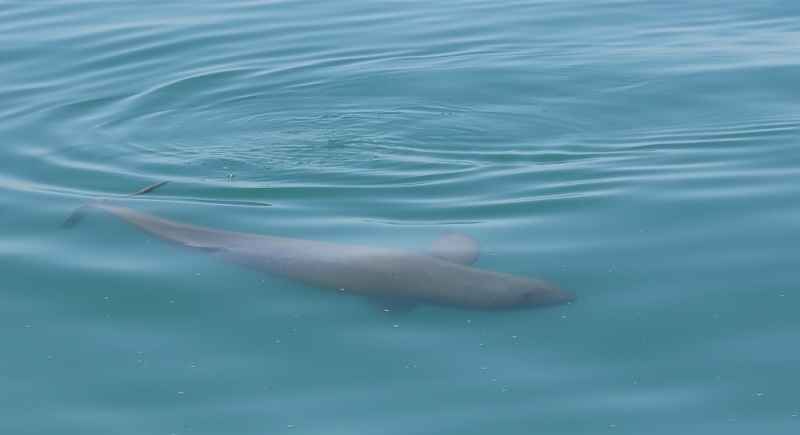 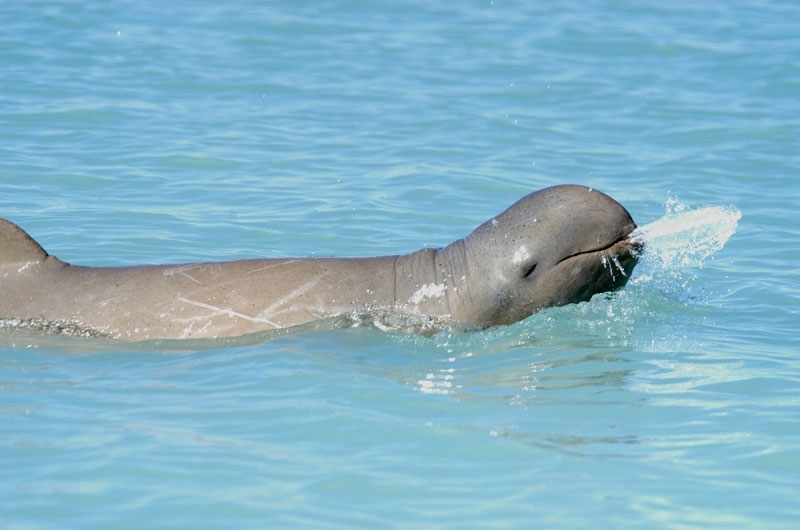 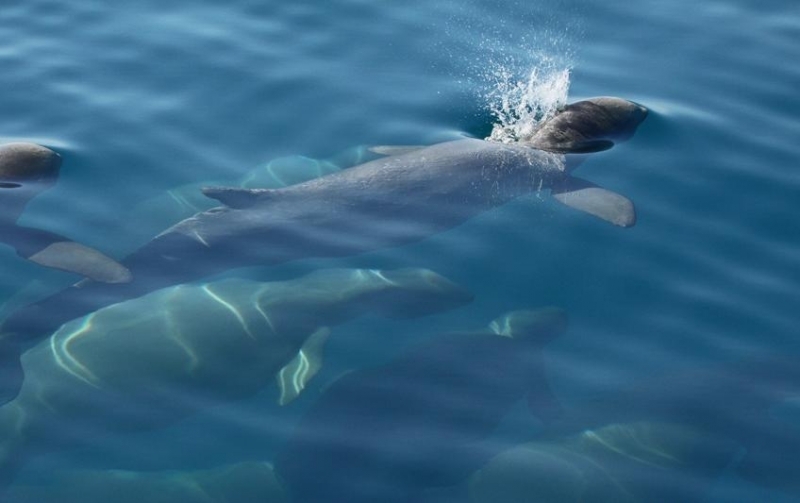 DDTs may also be compromising the health of Australian Snubfin Dolphin populations, while habitat destruction is likely to be a substantial, albeit unqualified, threat to the species throughout its range. 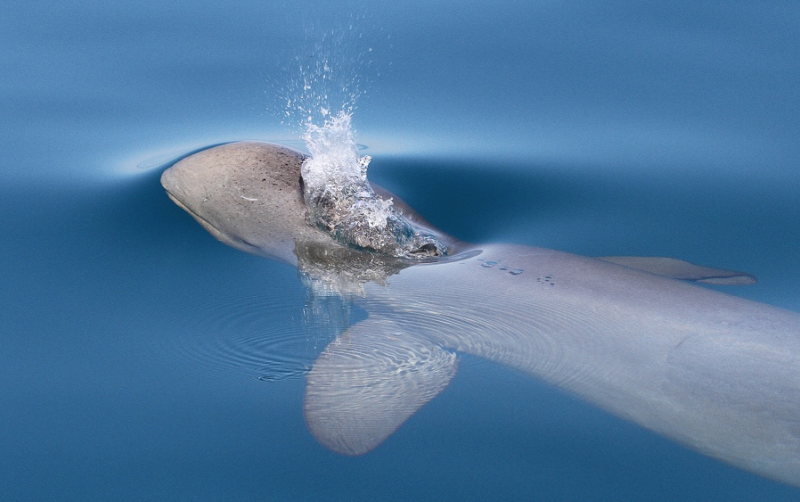 The large expanses of shallow water (50 meters depth or less) on the Sahul Shelf suggests that it may be possible for Australian Snubfin Dolphins to range between northern Australia and the Sahul Islands of eastern Indonesia and Papua New Guinea. 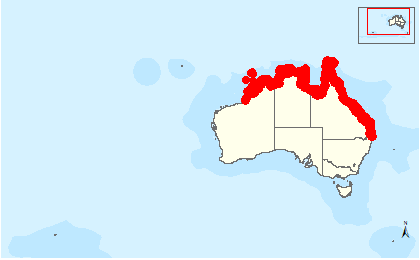 Considering the small range of distribution for this species, it is very possible that threats operating outside Australian waters may affect the Australian population. 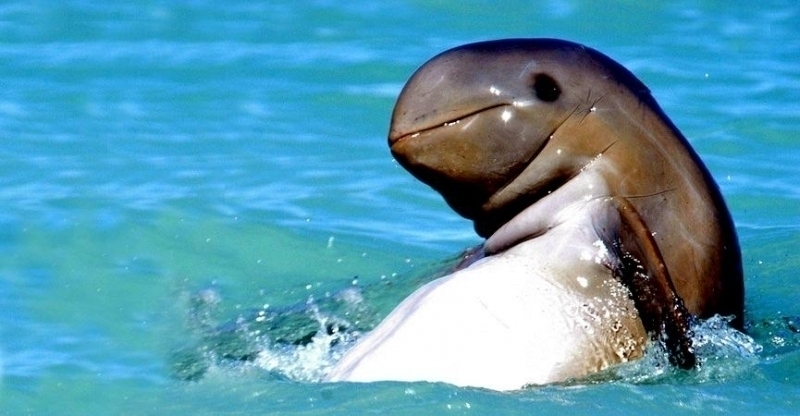 Experts say the discovery of a new mammal is extremely rare. 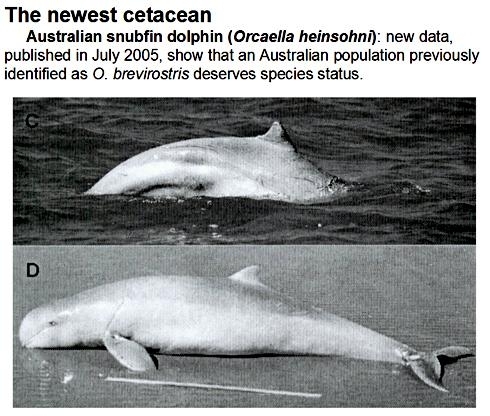 In fact, the Australian Snubfin is the first new dolphin species to be discovered in 56 years. 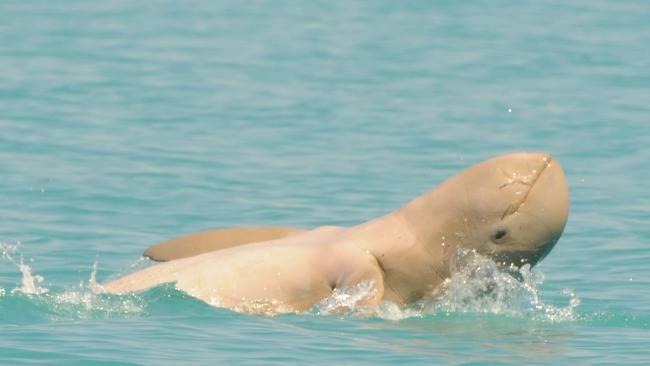 The Snubfin has 3 colors; it’s dark on the dorsal side, graduates to a light brown on the flanks and has a white belly. 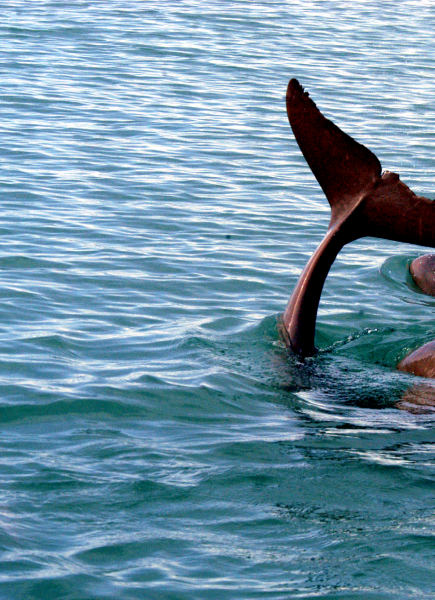 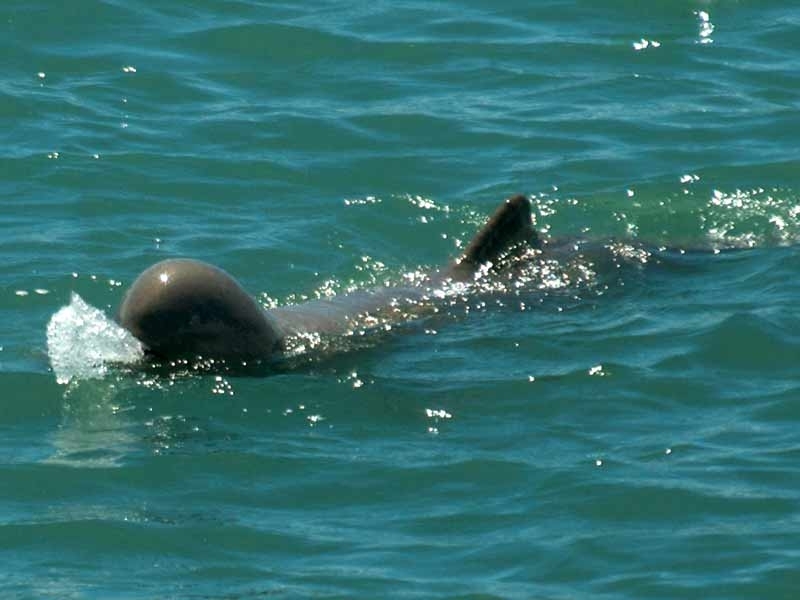 They have a rounded melon, which is very unlike other dolphin species in Australia. 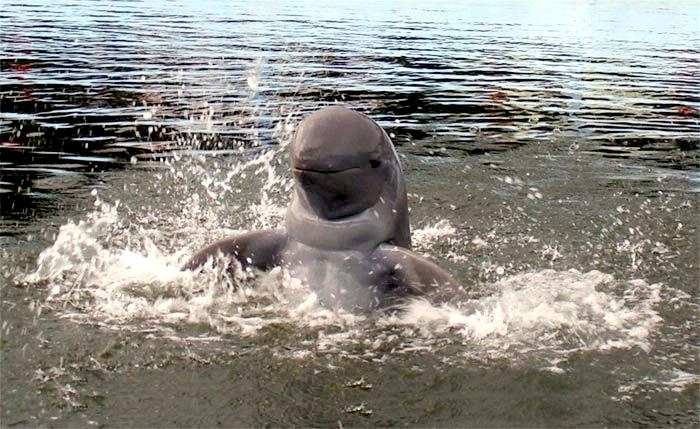 They also have a small, “snubby” dorsal fin, hence the name “snubfin”. 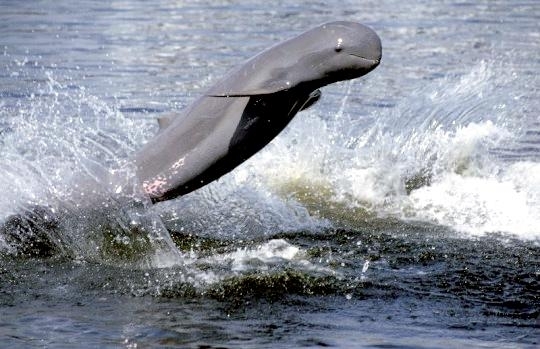 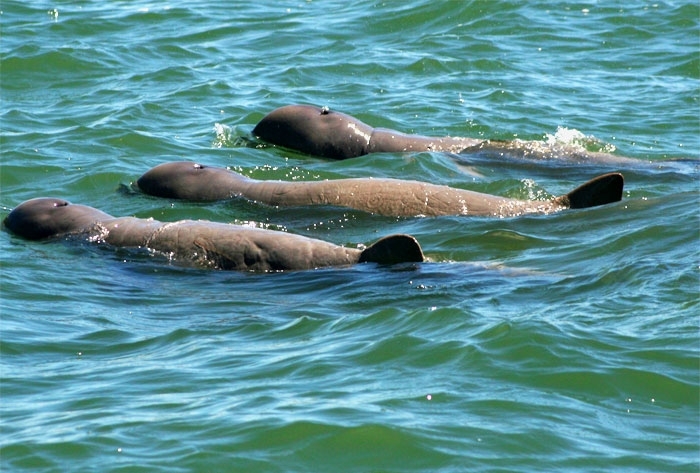 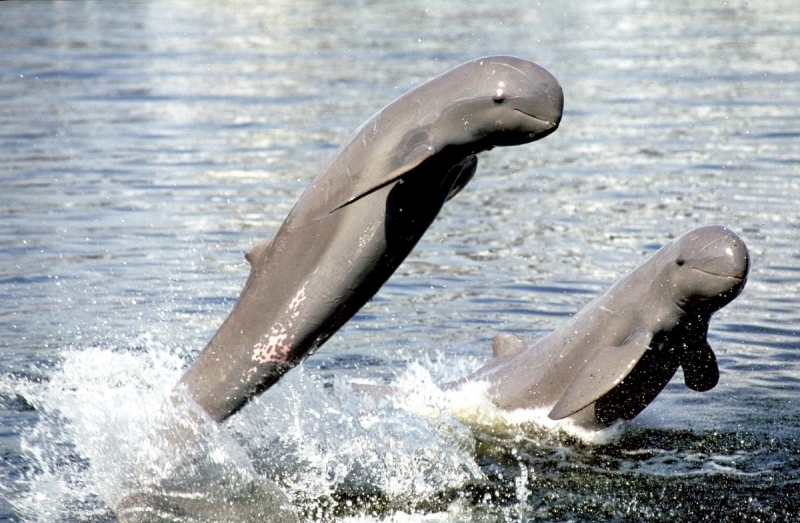 The Irrawaddy Dolphin unlike the Australian Snubfin Dolphin, is a uniform slate-gray with a white belly. 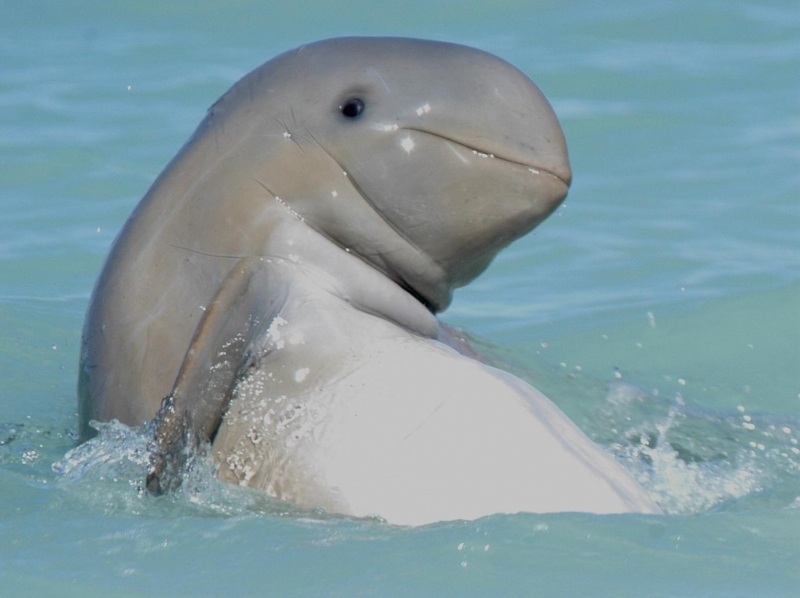 Unlike its more showy cousins such as Bottlenose Dolphins, the Australian Snubfin is a very shy dolphin that avoids boats. 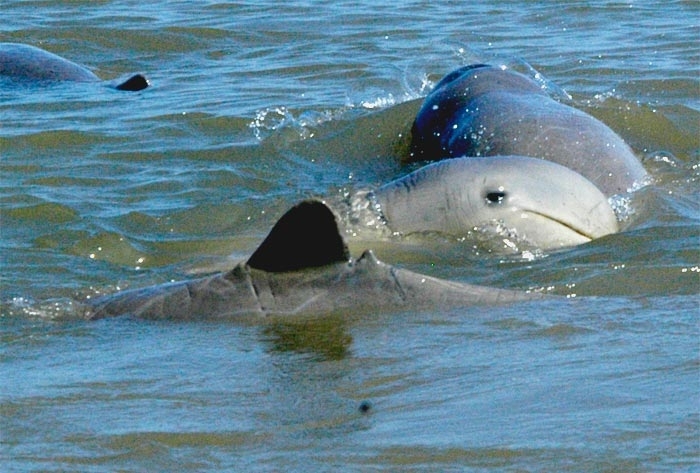 Australian Snubfin Dolphins live in shallow coastal waters in northern Australia and possibly Papua New Guinea. 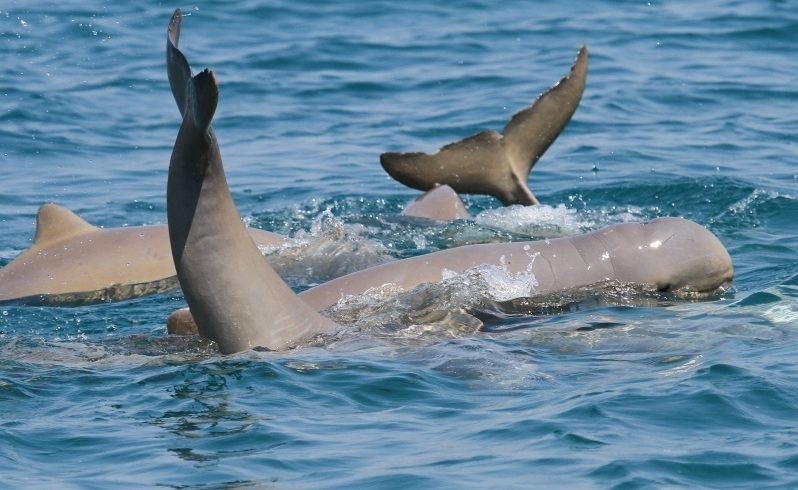 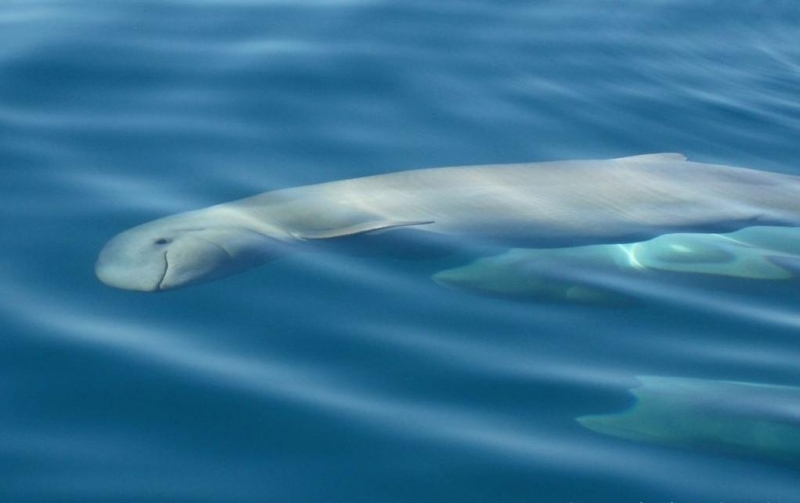 In the Pacific Ocean off Townsville, about 200 individual Snubfin Dolphins were found. 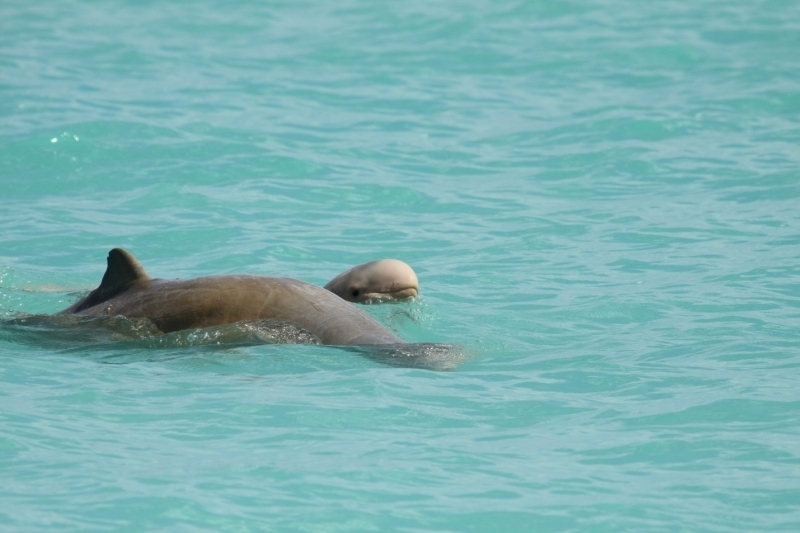 It is expected that the range of the species extends into Papua New Guinea, but that the majority live in Australian waters. 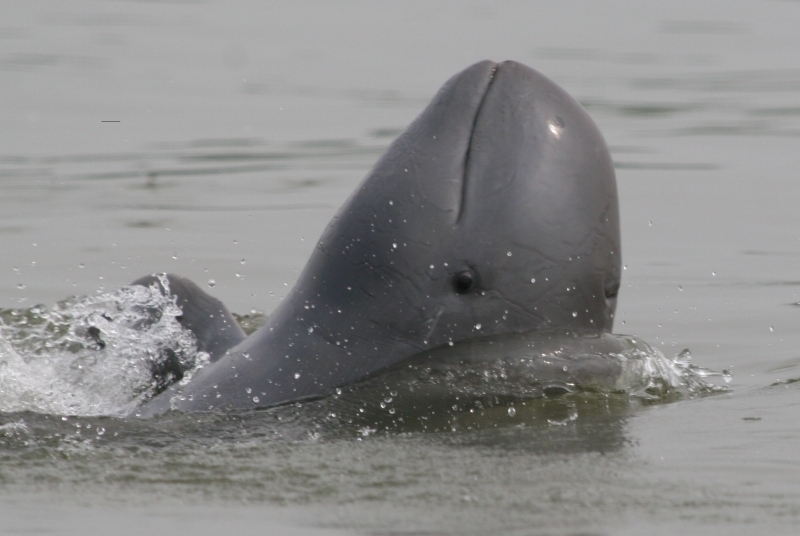 They are not thought to be common and are being given a high conservation priority. 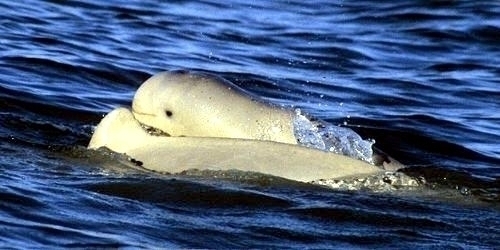 Australian Snubfin Dolphins feed on fishes, crustaceans, cephalopods and fish eggs.